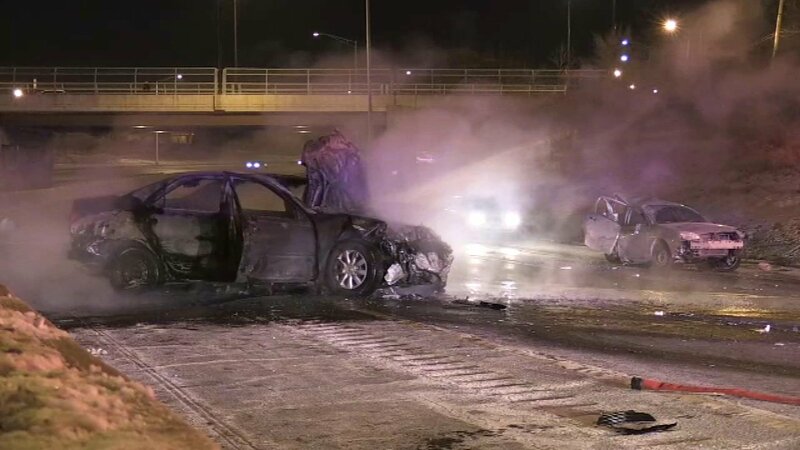 CHICAGO (WLS) -- One person was injured in a crash on I-57 on the South Side early Saturday morning. The crash occurred in the inbound lanes of I-57 near 99th Street. At least one of the cars involved caught fire, forcing firefighters to shutdown part of the expressway. The expressway was re-opened by 6 a.m.
One person was hospitalized in good condition, the Chicago Fire Department said.